This holiday season, be sure to remember the cannabis connoisseur (or relative newbie) with legal marijuana or a related product. With legalization, both medical and recreational, the law of the land in many places, there are more opportunities than ever to satisfy your stoner friends and family with great cannabis and various cannabis products. Marijuana Politics is here to help you out with some shopping tips that will help you find the perfect gift for your cannabis-loving friends and family. We have compiled some unique businesses that can help you find the perfect gift for the cannabis community members on your shopping list. There is a movement to turn the Black Friday shopping “holiday” into Green Friday, so please consider supporting a marijuana entrepreneur this Friday and throughout the holiday season. Friendly reminder: Oregon dispensaries can provide up to 7 grams of cannabis flower to adults over the age of 21 while an Oregon Medical Marijuana Program (OMMP) patient or caregiver card is needed to purchase other marijuana products and items, such as concentrates or cannabis-infused edibles. Rip City Remedies is one of the longest-running dispensaries in Portland and that experience shows in how they relate to, and care about, the cannabis community. Two doors down from Salt & Straw, this dispensary makes a great location destination as the Division Street area is a happening locale of great food, drink and various attractions. The folks at Rip City Remedies have been great allies to the Oregon cannabis legalization movement and have long demonstrated compassion for Oregon’s patients. The staff is tremendously friendly and will welcome you warmly into store. Green Friday specials include: $20 quarters; 2 cannabis joints for $5 from Mindful Organics; specials with Truly Pure and Looking Glass Extracts through dailyleafdeals.com. See the full menu here. 10 am to 10 pm on Green Friday. Panacea has already garnered tremendous press by giving 10% of proceeds to social justice causes. This type of behavior is not only the right thing to do, but has proven to be good marketing for this great dispensary. Supporting great causes has been a foundation of Panacea’s since its inception and the owners have continued to make supporting important social justice issues a part of the business. The folks who started Panacea are social justice advocates, growers, and medical cannabis enthusiasts. Dispensing cannabis has been a way to bring their passions together. They are truly committed to racial and economic justice and supporting LGBT elders. But don’t have to support Panacea just because you want to support social justice causes. You can purchase great strains like Strawberry Satori or Silvertip for the supreme quality of the strain. The fact that your hard-earned dollars support a good cause is just a byproduct. Panacea’s big sale item will be $20 quarters of Charlatans’ Web grown by WildFire Farms on Green Friday, while supplies last. They will also feature gourmet soap made by Panacea staff member Megan, whose company is Clean Wit Industries, and works by local Artist Justin Potts. The Greener Side offers great products, special deals every Tuesday, discounts to veterans and they host vendor days twice a month to allow patients and customers to get key knowledge from the source of the cannabis and products. They even take the time to give to charity as they organize the Oregon Cannabis Classic Golf Tournament to benefit the Oregon Chapter of the Multiple Sclerosis Society. Chelsea and Joseph, the mom-and-pop owners of this establishment, sought out a way to do good work for a good cause while also representing the cannabis industry in the positive light it deserves and the Oregon Cannabis Classic was born. This family-owned dispensary treats the entire cannabis community as family and the compassion and care shows. From Blue Magoo to Super Silver Haze, the Greener Side has great strains that will satisfy anyone on your shopping list. 20% off all accessories; buy three for the price of two on all topical products (including soaps, lotions, soaking salts); buy four for the price of three on all concentrates and free gift with every purchase of an 1/8th of flower. Check out the menu of products here. Living and breathing the farm to table model, Oregrown has proven to be a model dispensary that provides great products and service. The establishment is pure class. A truly great cannabis destination, Oregrown is conveniently located in the heart of downtown Bend, less than two blocks from Deschutes Brewery and Brother Jon’s Alehouse. You can stop by and hop into the Patagonia store close by as well. Always on the cutting edge of the cannabis industry, Oregrown offers cannabis flights that come in custom jars and boxes, allowing you to give a truly unique gift. In a hurry? You can order ahead and have your products ready for pick-up. Visit Oregrown and you will quickly see why it was voted “Best Marijuana Dispensary” by the readers of Source Weekly. Check out the full menu of products here and cool Oregrown gear here. What you may not know about Oregrown are that owners are working hard on behalf of the industry to improve cannabis laws and regulations, at all levels of government. The proprietors generously contributed to the Measure 91 legalization campaign and haven’t stopped working towards rules and regulations that will work for Oregon, and the nation, while always remembering the importance of reducing criminal penalties. FunkyPiece.com is a boutique online smoke shop founded on simple principles: the business model is to offer unique products at low prices, with fast shipping and tremendous customer support thrown in. Amazing, American-made glass hand pipes, water pipes and bubblers are available and overall, the selection of glass items is truly incredible. If rolling papers are your thing, or preferred by a buddy on your shopping list, FunkyPiece.com has just about every brand of papers available, from Elements to Raw to Zig Zags, to just about every paper in-between. Grinders, storage devices, and other cannabis paraphernalia products are available. Variety is the spice of life, so FunkyPiece.com strives to have at least one new product available everyday. If you are on a budget, there are always special clearance sale items available as well. Shipping is just $5 on all orders made anywhere in the United States! All orders are discreetly packaged and shipped. Of course, all items are for legal use only. SOURCEvapes was fittingly founded on April 20th to provide innovative, affordable vaporizers with impeccable customer service; a practice that they have continued since 2013. In May 2014, SOURCEvapes the SOURCE orb personal vaporizer, starting what the company deems the “Double Coil Revolution”. SOURCEvapes has been on the cutting edge of vaporizer technology ever since and hasn’t looked back. The company went on to develop SOURCE ghost, the first 3-in-1 True Dry Herb Vaporizer and SOURCE terra Technology Atomizers, a full ceramic heating element that uses ceramic to heat products, rather than exposed coils. With different atomizers and colors to choose from, SOURCEvape allows users to find a style that fits their personality and vaping preferences, particularly for the flagship SOURCE orb 3 vaporizer. There are eight different SOURCE orb 3 atomizers to choose from, including three quartz atomizers and two SOURCE terra atomizers, so users can completely personalize their SOURCE orb 3 experience. SOURCEvapes provides a truly unique vaporizing experience that will satisfy the biggest connoisseur, while also user-friendly enough so vaping newbies won’t be intimidated. Las Vegas-based SOURCEvapes has been leader in the industry and bringing high-quality vaporizers to the market since 2013. The very extensive product line consists of concentrate vaporizers, herb vaporizers, and accessories. To ensure the purest taste SOURCEvapes products are made with the finest materials and are sold at an incredibly competitive price-point. All of SOURCEvapes products are covered by a no-hassle warranty that allows you to return products within 30 days, but with SOURCEvapes’ expertise, you, or your gift-recipient, will sure to be satisfied by the experience. Enter your email to #ExperienceTrueTaste and get $5 off of your next purchase. Use coupon “BLACKFRIDAY2015” to receive 40% off of select products this Friday and “CYBERMONDAY2015” for 30% off select products as well as buy one get one free deals on orb slim travel kits. Zamnésia, the largest online seedshop, is a bit like stepping into the future, even though the company has been around since 2003. With over 1,000 cannabis seed varieties and more than 3,000 various products on the site, Zamnésia is a testament to how far the cannabis industry has come and provides a glimpse into a new world of personal freedom and liberty across the globe. Zamnésia’s seedshop carries the top marijuana strain genetics from companies such as Sensi Seeds and Greenhouse seeds while also carrying everything needed to consume the cannabis you produce. With an extensive inventory of bongs, vaporizers, grinders, papers and a huge array of cannabis paraphernalia products, you are sure to find something for that special stoner in your life, including yourself. Of particular interest may just be the Arizer solo vaporizer, a sleek and discreet vaporizer that is one of the best on the market. Zamnésia is holding a special Black Friday sale and other monthly deals, doing its part to turn the shopping day into Green Friday and you can even get a 5% discount by liking the site on Facebook. To ensure privacy and that you can surprise any recipient of Zamnésia products, the company pledges to take the necessary precautions to protect your personal information and ship discreetly. This holiday season think beyond the typical pipes, stash boxes and weed-scented gifts. Give the stoner in your life something that’ll not only help enhance their high, but also aids in recouping after a big hit, O-puff. O-puff is a brand of portable, recreational oxygen, which helps smokers relax and unwind and recover from late nights, altitude + pollution and more. With its super light-weight packaging, O-puff canisters make great stocking stuffers for smokers. Each canister consists of 95% pure oxygen, which can be inhaled through the nose or mouth. It does NOT contain cannabis or any cannabinoid derivatives, but it is a natural pairing for cannabis consumers. Proponents of oxygen swear that some oxygen will increase energy levels, improve endurance during exercise and ease the discomfort of headaches and hangovers. Just a few hits of O-puff helps top off energy levels and increase focus and mental clarity, when needed. And whether the cannabis consumer on your list is an everyday smoker or just a casual toker, who doesn’t need a boost in focus and mental clarity every now and again? Check out O-puff’s website, on Twitter @OpuffO2, on Facebook and on Instagram. Cannabidiol (CBD) has recently started getting more and more recognition for its health benefits. Dr. Sanjay Gupta took the story of CBD mainstream recently and more and more people are seeking out CBD in cannabis strains and as a natural supplement. Dixie Elixirs, a leader in cannabis-infused products, has branched into the CBD realm with Aceso. Dixie Elixirs urges you to give the perfect gift, give the gift of health! Aceso, whose name is derived from the Greek Goddess of the healing process, brings the power and benefits of cannabinoids to another level, allowing more people to find a whole plant formula that will optimize their health. The first in the Aceso line of products will be “Wellness” for general well-being; “Calm” to help alleviate mild anxiety; and “Soothe” to ease everyday aches and pains. All products have been developed using a specific ratio of ingredients in a proprietary cannabinoid formulation, as well as other synergistic compounds, delivered in a carefully measured, single serving oral spray or powder for fast, effective and efficient delivery of health benefits. Following the first three formulations, Aceso will bring its “Sleep” product to market which has been formulated with a specific ratio of compounds to deliver a more restful night’s sleep. Basically, Aceso is designed to soothe pain, assist in sleep, calm nerves and basically help people perform at their best. As the company states, “we know that health is the foundation of happiness and that wellness is a lot more than not being ill.” No you won’t get high, but the company encourages CBD supplements to become a part of your daily supplement routine. The website goes live tomorrow and sales start on Black Friday! Check out Aceso on social media via Twitter @myaceso and Facebook. 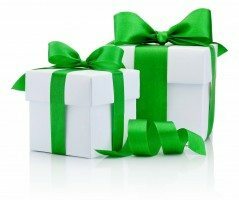 Aceso urges you to give the perfect gift, give the gift of health! Therabis, an ailment-specific all natural CBD supplement for Dogs, has been developed by Dixie Elixirs through a collaboration with a 30-year veterinarian to alleviate separation anxiety and itching while helping joint mobility and flexibility. The mission of Therabis is to foster the unconditional love between pets and families, which is grounded in the belief that strengthening that bond enhances the human condition. The company urges you to give the gift of health to the canine in your life! Therabis intends to bring the amazing healing power of hemp to the pet market by combining key cannabinoids with other all-natural ingredients, allowing pet owners to address pet health issues with an all-natural solution. Therabis will come in size and pet-specific pre-measured portions, which can be added to any pet food product. Flavored with a blend of all-natural ingredients, Therabis is designed to deliver benefits from the very first time your beloved dog uses the product. Therabis has been scheduled for clinical trials at the University of Pennsylvania School of Veterinary Medicine as well as field trials in over a dozen hospitals in New York. This is exciting research that has the potential to greatly benefit our furry friends that give us such unconditional love and enriches our lives! Check out Aceso on social media via Twitter @TherabisPet and Facebook. See www.therabis.com to harness the power of hemp for your dog.